The night train from Chiang Mai signaled our return to rail travel after nearly three months and it was a big relief. A four bed cabin, just enough legroom and meals available if required. Luxury compared to minibuses. The majority of western travelers onboard were heading to the end of the line at Bangkok but we were on a different agenda, which entailed a desperate need to find some history in Thailand. Arriving in Ayutthaya at 5am meant the shroud of darkness hid the ancient capitals structure from view, adding an element of mystery on the short boat trip across the river. If you arrive in Ayutthaya train station don't take a tuk tuk into town (charge 50 baht) as there is a ferry across the river from a small street directly opposite the station for 5 baht. 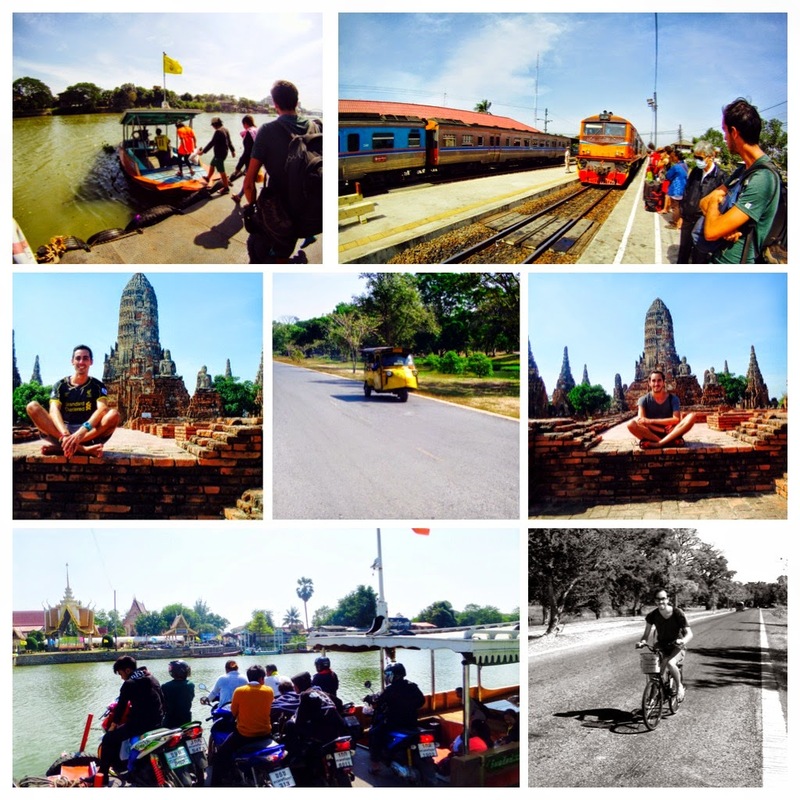 After avoiding being ripped off by the tuk tuk drivers our first task was to locate a place to stay. Tamarind Guesthouse was our first choice as it commands great reviews online at a cheap price. Sadly they were fully booked so we walked the short distance to Tamarinds sister hostel "My House Guesthouse". This new kid on the block has pristine and modern rooms with A/C, private bathroom and in our case a small but welcome balcony. 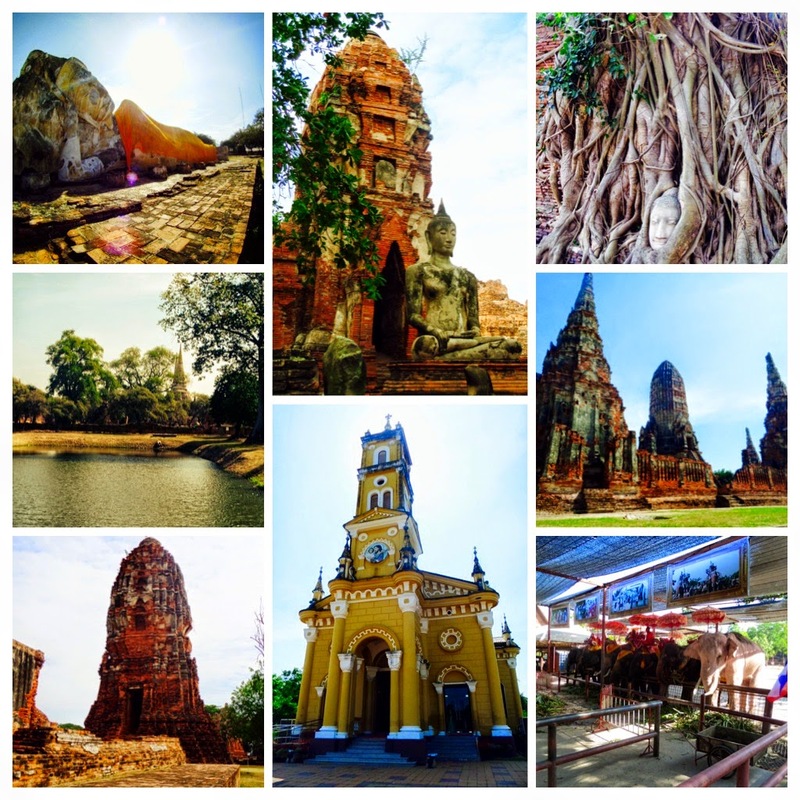 Ayutthaya is a pretty old city. The UNESCO heritage site was first founded in the 14th century as the capital of the Thai empire at a time when they dominated the majority of South East Asia. The best way to explore the many temples is by bicycle although if your feeling lazy or a little immobile there's always a tuk tuk available. Unlike the Khmer temples in neighbouring Cambodia the ancient structures require a little bit of imagination to visualize the city in its true glory, mostly due to the past decisions of one of Thailand's other neighbours, Burma. The Burmese conquered large swathes of Thailand and sacked the then Siamese capital in 1767. Our favourites included Wat Mahathat with its famous Buddha head sprouting from the base of a tree, Wat Chai Wattanaram with its large complex of towers and the large Reclining Buddha in the north west of the moated city. Like the look of Ayutthaya. Follow the links for more information.